The list of forbidden foods for the week of Pesach (Passover) starts with wheat, barley, rye, spelt and oats. For some, typically those of Eastern European decent, rice, millet, corn and legumes like beans and lentils are removed from homes and diets for the week-long festival too. These ingredients, and dishes that contain them are banished from pantries; we don’t cook with them, we don’t give them to our pets, and we’re not even allowed to own them for an entire week. In our home, we have always stocked up on produce for what becomes the healthiest week of the our year – we basically go gluten free and carb free for a week and eat very very well. Perhaps it is normal to crave what we can’t have – you tell someone they can’t have pizza or brownies for a week and they freak out and try and invent a version using with potato starch or matzoh meal. When I surveyed my Facebook friends and asked them the first three things that come to mind when I say “passover food” responses included fried matzoh, macaroons, “NO! Yuck! Dry…” , pepto bismol and fear. This perception of a week of bad food is the very reason I was unsure about reviewing some of this Passover’s newest cook books, but I have found one that would agree with my approach. 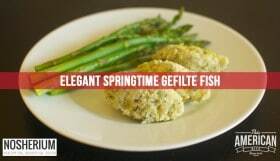 It’s time to break this Passover tradition of dry, bad, nasty food and go through our own personal food exodus, besides, a healthier Passover may also be a cheaper Passover. If you’re not sure how to approach a whole food Passover, start with Passover Made Easy by Leah Schapira and Victoria Dwek. Schapira and Dwek and bringing the food revolution to Passover cooking with a healthy and whole food approach to this festival. 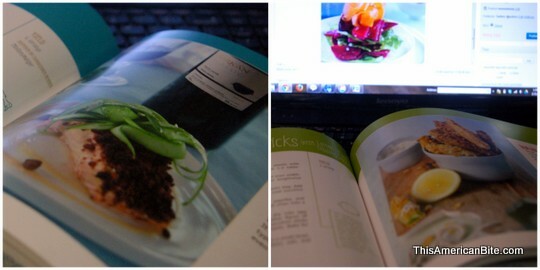 This book is a must-have for the conscious cook. 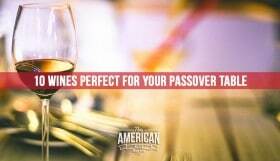 Pairing each dish with wine, and offering food styling suggestions for many of the recipes offers some much needed guidance for anyone seeking a simpler Passover. So much attention to detail went into preparing this book, and the fact that Schapira and Dwek tested these Passover recipes on their families and friends year round tells me they think of Passover the way I do. This book isn’t just going to make Passover easy, it’s going to make it simple and looking through the pages will give you a chance to escape the real-world for a moment and go on a culinary adventure. I particularly like that this book is not labeled as a healthy book. Too many people are turned off by the H word, and I found the whole food approach to be a wonderful surprise as I browsed pages filled with Eggplant Wrapped Chicken and Tortilla’s with Tomato-Mint Salsa. This book holds page after page of recipes I would not hesitate to serve to anyone from our three year old son to a gluten free guest. If you’re looking for the Passover classics like roast chicken, kugel (a baked casserole) or a roast, this book has you covered. When your copy of this book arrives check out the vibrant Citrus Beet Salad on page 37 and if you plan to pack this book away with your Passover dishes, do yourself a favor and buy two copies so you use it year round too. To give you a sneak peak, check out these beet and turnip pickles, kindly shared with the photo, by the team behind Passover Made Easy. I’ve been on a pickling kick recently, my purple pickled eggs proved to be very popular, and in fact, these are Kosher for Passover too. In keeping with the simplicity and elegance I describe in my review of Passover Made Easy, I felt that this dish of Pickled Beets and Turnips was a great example. Combine turnips, beet, garlic, and jalapeño in a mason jar. Pour water, salt, and vinegar over vegetables. Cover and shake to combine. 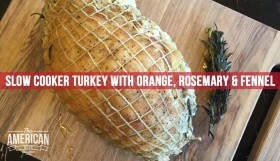 This is best made at least 2 days ahead and will keep in the refrigerator for 10-14 days.